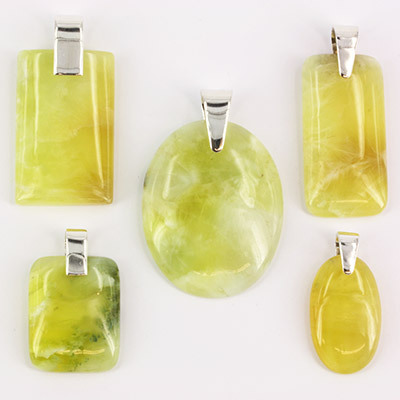 Prehnite and Sterling Silver Pendants. Wholesale. 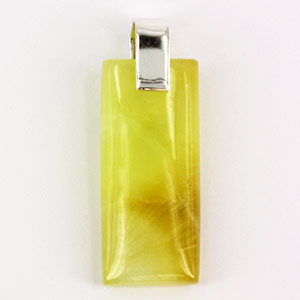 Buy Australian Gemstone Jewellery Directly from Supplier. 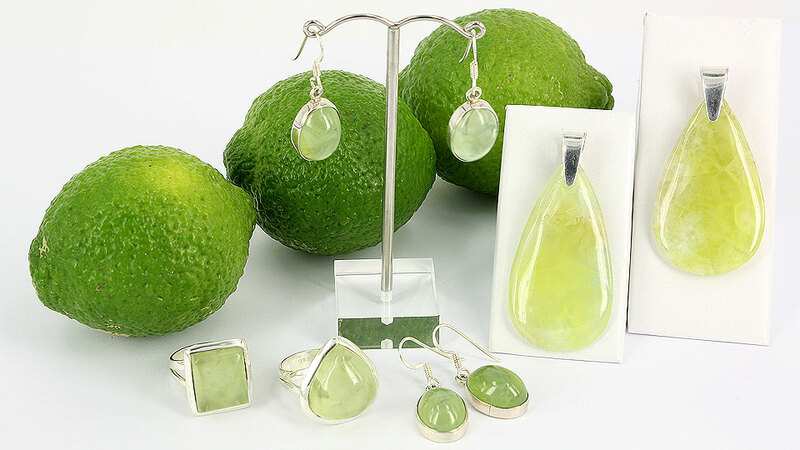 Prehnite, a lovely translucent gemstone, is a calcium aluminium silicate. It occurs in numerous localities in the Kimberley region of Western Australia as well as across the border into the Northern Territory. Some of the best gem quality material comes from Wave Hill Station in the central Northern Territory.